Front Line ➡️ 5th Line. The Columbus Blue Jackets have announced the return of their signature cannon logo jersey as the clubs third jersey option for the season. We will see the alternate look hit the ice for the Blue Jackets a total of 12 times this season, with our first look coming on October 18th against the Philadelphia Flyers. 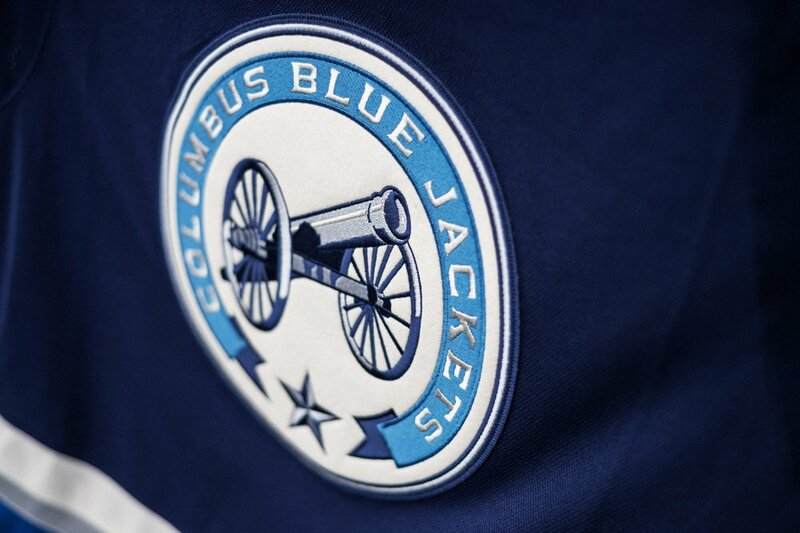 The front of the jersey features the old school cannon that represents the Blue Jackets connection to the Civil War. Within the neckline we see the saying “We Fight, We March!” which is a nod to the team’s first Stanley Cup run. There are 10 stars as well that represent the team’s 10 year anniversary.